The BoBunny Blog: Love & Lace Kit! Hello BoBunnies! We are loving our Love & Lace this week and wanted to share with you this amazing kit! 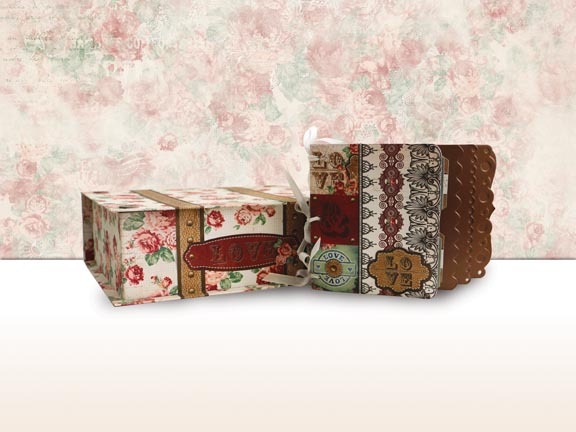 You can tuck all your treasures in this beautiful memory box! AND the gorgeous box serves as both a home decor and storage piece for your mini album! Your mini album will be safe and sound, waiting inside like to be discovered like the treasure it is! This kit is available online and in stores now and comes with everything you need to make the box and mini album. For a complete instructions and supply list click here: Love & Lace kit . Oh my goodness!! This is so beautiful and will be the perfect gift too for soo many things. It is so beautiful! Love this collection. Thank you Bo Bunny! So cute !!! I want to win !! Oh my goodness, what a fantastic kit! I've always wanted to make a mini-album and this is perfect. Thank you for the chance to win. I just love Bo Bunny!! BoBunny is my favorite! I love every collection! I hope to win! Thank you for the chance! Bo Bunny is my favorite. Love this kit. Love all things Bo Bunny! Thank you for the chance to win! Just beautiful! But it's BoBunny...we wouldn't expect anything less! :) And what a beautiful gift it would be for a special lady! Very pretty. Will need boxes for Christmas presents. This is right up my alley. A sure must have. I just love the Art Deco/Vintage look of the paper ! Another home run BoBunny !! Such a beautiful collection. Love the colors. Bo Bunny makes such beautiful papers....love them....fingers crossed!! Love this collection. Just think of all the beautiful things you can do with this. Gorgeous kit! No wonder BoBunny is always a fave! BoBunny always has the most beautiful kits, This would make a beautiful Christmas gift. would love the chance to make and win this kit. Beautiful project with beautiful supplies!1 Love the colors of BoBunny!! This is gorgeous! Love all the details and embellishments! This is such a beautifully soft and romantic collection. Love it! what a lovely paper project to make! i would love to win this..thank you bo bunny!! Oh my! Just my colours and everything! Omg these are so lovely, Thank you for the instructions on how to make these. They are really beautiful! Love this! This is so gorgeous, thanks for the instructions! Congratulations! You are our winner! Please contact us at bopress@bobunny.com with your mailing details. I just sent you my mailing info! I am beyond EXCITED! Thank you SOOO much!!!! Sooo pretty. Tons of things to do with this kit!!! Beautiful dusty colors! DeB O. It's beautiful!!! Love this collection! Thanks for the chance to win. I am so excited that I have won, cant wait to see it. BoBunny is my favorite Scrapbooking papers and bling. Thank you so so much, cant wait to get it! !